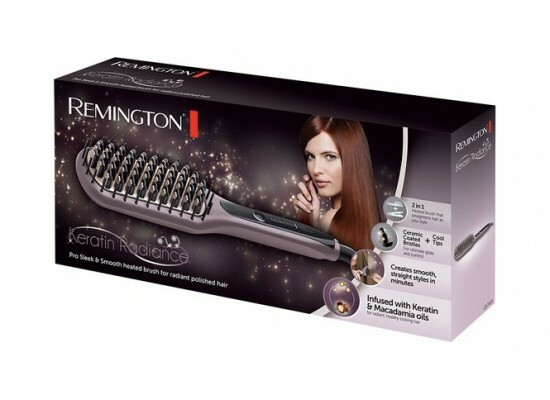 Remington have created a revolutionary product that gives you straight, smooth hair, in a matter of minutes. 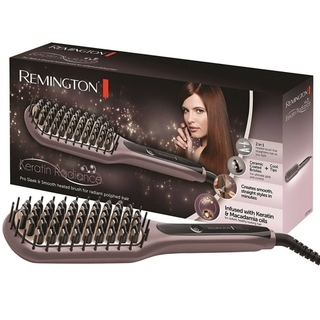 Combining a brush and a straightener, into one innovative product, we bring to you the Remington Straight Brush. 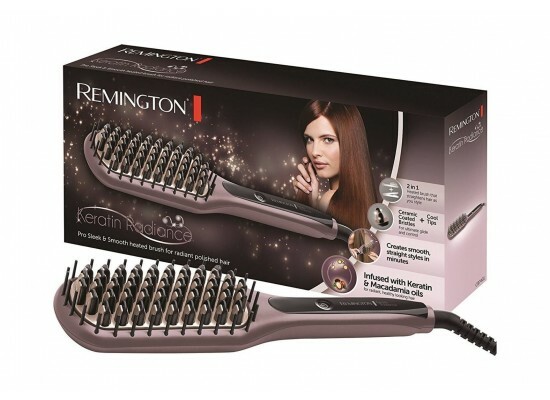 Designed to retain your hair’s natural volume whilst smoothing it out to perfection, so you get a naturally straight style with volume. 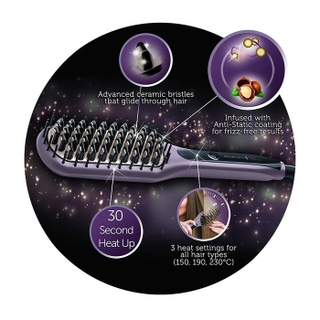 The Anti-Static ceramic coating of the Keratin Radiance Sleek & Smooth Brush reduces frizz so you have one less thing to worry about. 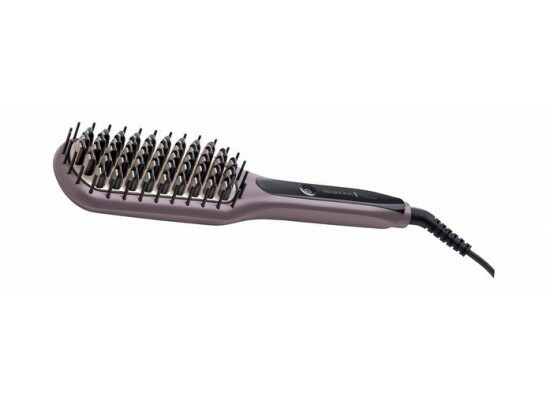 It allows the brush to glide through your hair without snagging and minimizes any static. 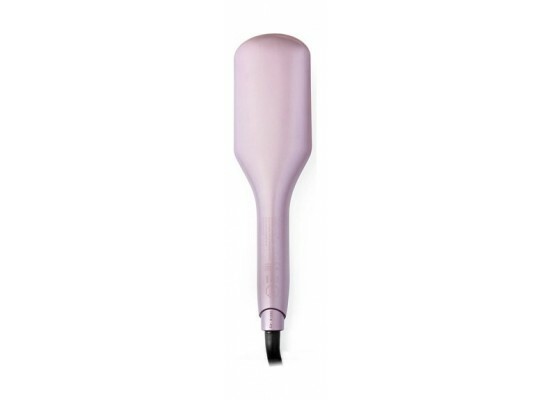 It really is the perfect smoothing tool to leave you with glossy, straight hair in a matter of minutes. 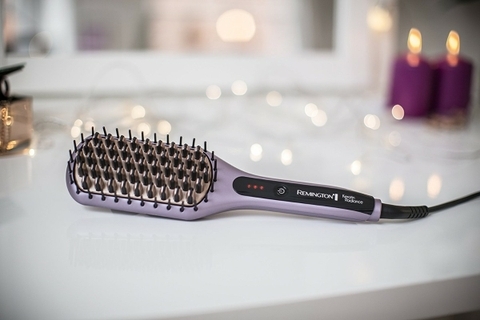 It’s three heat settings mean you’re sure to find the perfect temperature for your hair type, giving you smooth, detangled straight hair quicker than ever. 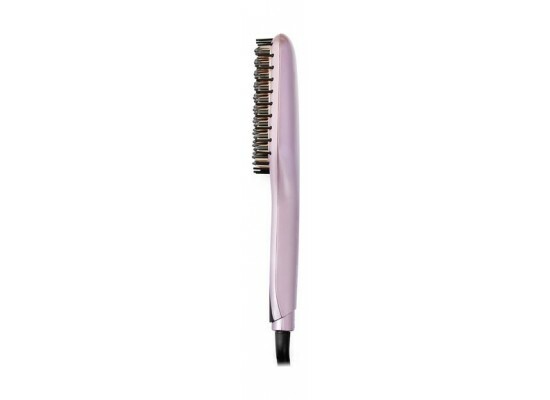 Straighten large sections of hair from root to tip with ease, even if you have thick or unruly hair. 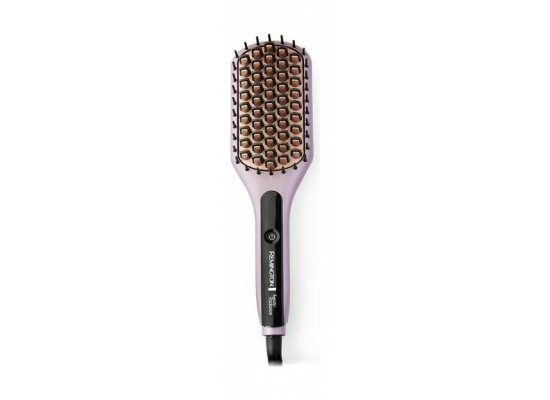 That means you don’t have to feel guilty about hitting that snooze button in the morning.